We would like to thank noblechairs for supplying the review sample. A while ago, we had the opportunity to review a leather gaming chair, noblechairs' flagship model belonging to the EPIC Series Real Leather line. In today's article, we are going to evaluate another gaming chair of the company, which is fabricated to look like real leather. This gaming chair is composed entirely out of 100% vegan, PU imitation leather. This means that it is more affordable, which makes it more accessible to end users. Since many gaming sessions require that one sits in front of a monitor for many hours in a row, the right peripherals, such as a good keyboard and mice combo and a comfortable chair, are naturally of great importance. An ergonomic design that supports the back is all gamers, enthusiasts, and power users look for. Along with an ergonomic design, though, every detail, however small, might matter. 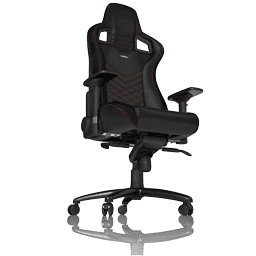 noblechairs states that it is dedicated to producing gaming chairs that boast their design superiority, featuring enhanced ergonomics and comfort. The resemblance to seats found in expensive luxury and sports cars adds several aesthetic bonus points. Finally, noblechairs informed us that all of its products are tested and certified according to DIN EN 1335-1/2. This means it can be used in offices in Europe. Personally, we weren't aware of a European standard for chairs. As it seems, there is a standard for everything nowadays! As there are different needs and budgets, noblechairs has launched three different types of gaming chairs. 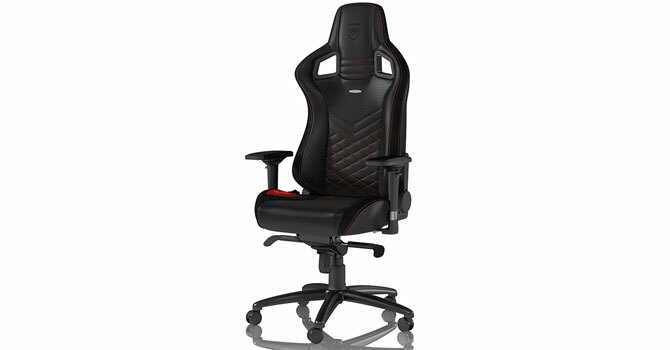 There are the Epic Faux leather gaming series chairs with a €339 ($340 in the US) price tag, the Epic Special Edition Gaming chairs that are €10 ($10 in the US) more expensive, and the flagship Epic Real Leather models that will set you back €550 ($550 in the US). Will this Epic chair be able to amaze? Well, the answer to that question lies ahead; you will find out soon.